Home Prostate Cancer Why Prostate Cancer Patients Fail Hormone Deprivation Therapy? Why Prostate Cancer Patients Fail Hormone Deprivation Therapy? 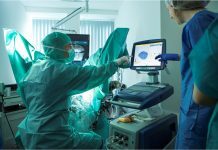 The hormone deprivation therapy that prostate cancer patients often take gives them only a temporary fix, with tumors usually regaining their hold within a couple of years. Now, researchers at Johns Hopkins have discovered critical differences in the hormone receptors on prostate cancer cells in patients who no longer respond to this therapy. The findings, reported in the Jan. 1 issue of Cancer Research, could lead to a way to track disease progression, as well as new targets to fight prostate cancer. 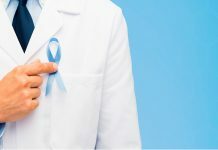 Prostate cancer cells rely on androgens, male hormones that include testosterone, to survive and grow, explains Jun Luo, Ph.D., an assistant professor at Johns Hopkins’ James Buchanan Brady Urological Institute. Since 1941, doctors have taken advantage of this dependency to battle prostate cancer by depriving patients of androgens, either by castration or chemical methods. For most patients, this hormone deprivation therapy causes tumors to shrink, sometimes dramatically. However, it’s never a cure—tumors eventually regrow into a stronger form, becoming resistant to this and other forms of treatment. Seeking the reason why this therapy eventually fails, Luo and his colleagues at the Johns Hopkins University School of Medicine, the University of Washington and Puget Sound VA Medical Center looked to a key player: the androgen receptors on prostate cancer cells.